During a time where communities and policies are changing, it is important to ensure the programs and services within those communities are constantly evolving to meet the needs of families. 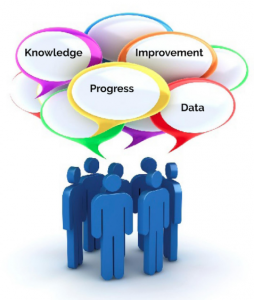 The Continuous Quality Improvement (CQI) model is an ongoing process for organizations to be able to determine whether or not a change made led to an improvement in quality. 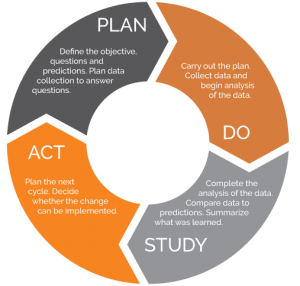 In order to move toward making the necessary improvements, a review of what occurred is conducted through a CQI process like the Plan-Do-Study-Act (PDSA) cycle. At Transform Consulting Group, we utilize this consistent approach when working with organizations to help them find solutions. During this phase, we work with the client to thoughtfully plan to implement their new or current program/ service. So often, organizations jump immediately to step 2 – “Do” – without completing this critical first step. During the planning phase, we define what we hope to accomplish especially if we are proposing a change. Then we determine how the proposed change/ intervention will be implemented and work through all of the details. Lastly, we finalize how data will be collected. This step in the process is what most organizations know and are doing. Organizations are delivering interventions every day with their services. They might be intentionally or unintentionally modifying their intervention. The “Do” step in this process is not new to organizations. It is wrapping it around the other three steps that makes this work transformational! Organizations often skip over this step in the process or do not spend enough time thoughtfully reviewing the data. 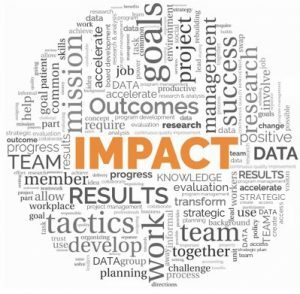 For some organizations, their data can be considered “high stakes” and there is a tendency to want to focus on the positive changes/ results that occurred and glance over the changes that did not occur or the benchmarks that were not met. During this phase, it is so important for an organization to be transparent and honest with themselves when reviewing the data. During this last step, your organization takes all of the information gathered to make data-informed decisions that will ultimately improve your results. This is the exciting part of the process and one that you don’t want to skip. This step and the overall PDSA process will help your organization continue to improve the quality of services provided and impact in the community. In this blog, “Is it time to redesign your program?”, we shared several examples of clients we helped use the PDSA process to test and implement new interventions/ modifications to improve their outcomes. The CQI process allows organizations to have a plan of action once a problem or service gap has been identified. At Transform Consulting Group, we follow this consistent approach when helping you find solutions to accelerate your impact. If you are looking to improve the quality of a service or program to facilitate positive change, contact us today! 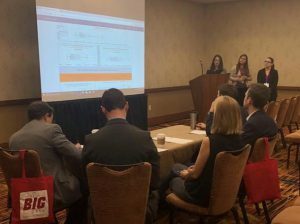 Our TCG team recently presented at the Fifth Annual Indy Big Data Conference for the Visualization Challenge (read about some of our lessons learned here). This year’s challenge focused on improving Indiana’s talent pipeline and workforce. Participating teams were provided several datasets to analyze and interpret, and then present to a panel of judges. Following the first round of presentations, the judges then awarded five teams the opportunity to present to 500+ conference attendees. Our TCG was one of those top five teams selected! Read more about the Visualization Challenge and data sets here: https://www.indybigdata.com/visualization-challenge/. What will be the top jobs in demand in 10 years? What is the education requirement for those top in demand jobs? What is the earning potential of those top in demand jobs? What is the return on investment on education for those top in demand jobs? The following is a summary of TCG’s findings to these questions based on the data provided. 1. What will be the top jobs in demand in 10 years? Indiana’s top projected jobs are found primarily in the healthcare, food service and business industry. TCG found that the top projected jobs in 10 years varies depending on how you look at the data. For example, Wind Turbine Service Technicians looks like the top in demand job, because of a 71% expected increase in positions in 10 years. However, when you look at the actual number of new jobs for Wind Turbine Service Technicians, there are only 66 total positions expected to be added over 10 years. This is not actually enough individual positions to create new higher education programs to encourage individuals to pursue this career. In this visual chart, you can scroll down to see the top projected jobs and how they compare. Hover over the number for more information about that occupation. 2. What is the education requirement for those top in demand jobs? The U.S. Census Bureau reports one-third of working adults ages 18-64 have an associate degree or higher. An additional 25% of this population have some education beyond high school. Interestingly, we found that six out of ten of the top 25 projected jobs only require a high school diploma. This doesn’t mean that we should stop encouraging young people to pursue higher education. Instead, the trend looks like the largest amount of new positions will be entry level or positions that do not immediately require an education beyond high school. 3. What is the earning potential of those top in demand jobs? TCG created a box and whisker plot chart to show the earning potential by occupation. For all occupations the median annual salary is about $40,000. The top 25 projected jobs based on the number of new positions shows a median annual salary at $31,000 which is below the current median annual salary. Again, this somewhat relates to the education level requirements in the previous section. The largest increase in projected new jobs are not high earning jobs. Visit the interactive dashboard to explore the different wage levels, experience levels, and hourly rates of the projected top jobs. 4. What is the return on investment on education for those top in demand jobs? The costs of education can feel like a burden to individuals, especially when the costs drag on through student loans for several years. The average timeframe expected to pay off the cost of postsecondary education is over two years. Our TCG team was interested in calculating the return on investment (ROI) of pursuing higher education for the top 25 occupations. 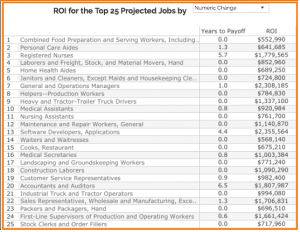 You can rank the list by the jobs with the highest and lowest ROI. The average ROI for all jobs is $1.4 million. TCG made several recommendations from the data analyzed. (This list can also be viewed on the second tab in the interactive dashboard). Review employment projections in multiple ways, like reviewing the expected growth based on the number of new jobs and the percentage growth of new jobs (e.g., Wind Turbine Service Technicians example) to ensure informed decision making. 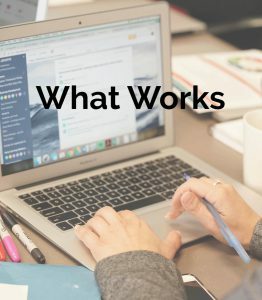 This can assist with decision making when developing or removing educational degree or certification programs and when encouraging individuals to enter a certain field. Offer more certificates and associate degrees both independently and as a part of bachelor’s degree curriculum. It would align with required educational needs of the workforce, contribute to less debt for students, and help improve higher education completion rate. Increase partnerships with employers (like IU Health) to do more direct career pipelines and apprenticeship programs. This could also potentially reduce the student cost. For example, Graduate Assistant positions are partially funded by the organization that receives a graduate student. Include more experiential learning in degree programs. It would help the student decide if they are in the right major or explore a secondary interest. It could also get industries to partner with other majors/ disciplines. For example, get the “creatives” into STEM activities – increasing the workforce pipeline. Consider offering incentives to attract individuals in the top projected jobs, especially those jobs with a low ROI. Look at ways to make these jobs more attractive to meet the future workforce needs. 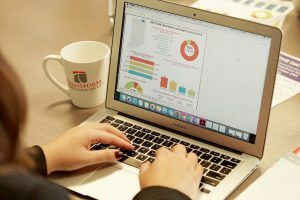 Learn more about the Indy Big Data Challenge in this article by the Indiana Management Performance Hub. At TCG, we are data nerds. Check out our research and analysis services, and learn how we can develop visual reports and dashboards to inform your decision-making and help you tell your story of impact. Recently Transform Consulting Group finished the annual needs assessment for the Indiana Head Start State Collaboration Office (IHSSCO). Each Head Start State Collaboration Office is required to annually submit a needs assessment, which informs their strategic plan goals and objectives. Use your assessment to solicit new feedback or data. The IHSSCO needs assessment solicited new feedback this year. We interviewed and surveyed external stakeholders and Head Start partners. If you’re going to request feedback, make sure you show you’re doing something with it. No one likes to provide feedback, and then see that nothing changes. For Head Start partners and stakeholders, they will soon be able to read the needs assessment report and see the recommendations for solutions that address some of their feedback. Take the time to learn from your data. How do Indiana Early Head Start and Head Start programs compare to national statistics? Where are Early Head Start and Head Start centers located across the state, and is it proportionate to the population and need? What percentage of children are being served? Is there more of a demand for Early Head Start and Head Start in rural or urban areas? Besides the demographics of your program participants and the outputs of a program, look for issues and barriers, gaps or overlap in services or clients, layer the data with other relevant indicators, and don’t forget to look at outcomes as well! Make sure you share the report – internally and externally. A needs assessment can take a great deal of time, effort, and resources from multiple individuals. Once the process is completed, it is easy to do a quick review of the findings with program staff and then put it on the shelf. The needs assessment report and its findings are not only important to program staff; it can also provide insight to all staff, program participants, funders, and external stakeholders/partners. Check out this past blog for more ideas! Make the report accessible and relevant. Many people may only be interested in reading an executive summary of the report or skipping straight to the recommendations. Others may be more attracted to infographics or dashboards. Decide how to best present your data for your audience, and then post these materials on your website, link to them in a newsletter, or mention them on social media. If you’re ready to do things differently with your needs assessment but are not sure where to start, contact us today to discuss ways Transform Consulting Group can help! Is your organization financially healthy? How do you measure the financial health of your organization? Nonprofit, education and other community organizations can look at the financial health of their organization and its relationship to your impact. Financial health also helps make sure programs are being run efficiently and if any program changes need to be made. For many organizations, financial information is used with staff and administrators and shared with boards, potential funders and clients. It is not always necessary to give each audience the detailed level view of an organization’s financial information. However, it is critical that the leadership of the organization is aware of and tracking some critical indicators that determine your financial health. While working with ten early childhood education programs on reaching their financial goals, we first had to look at the overall financial health of the organization. We asked to see income statements, balance sheets, client/ service information and any other key financial indicators. It can be hard to make sense of all of this information, especially for staff and board members who are not accountants or financial advisors. We saw a gap and need to summarize the most important financial indicators in a one-page overview that can be regularly (and automatically) updated for board meetings, funder reports, and other key reports. We were able to identify three key areas of information to highlight for different. While every organization is different, we believe these three financial areas are critical for every organization to track and monitor. If you are an organization that receives funding based on participation or enrollment numbers, then this is a critical indicator for you to track. Just like a hotel tracks their vacancy rate, your organization should have set goals and benchmarks for participation or enrollment rates. These should be based on your budget and what is needed to “break even”. Then you can look more closely at your participation by different population groups and a calendar of enrollment. The chart example below shows the trend in children served by month. The trend shows how the capacity fluctuated. It may be useful to take closer look at multiple years to see if the monthly trends are consistent by year. This will help organizations plan for the future. 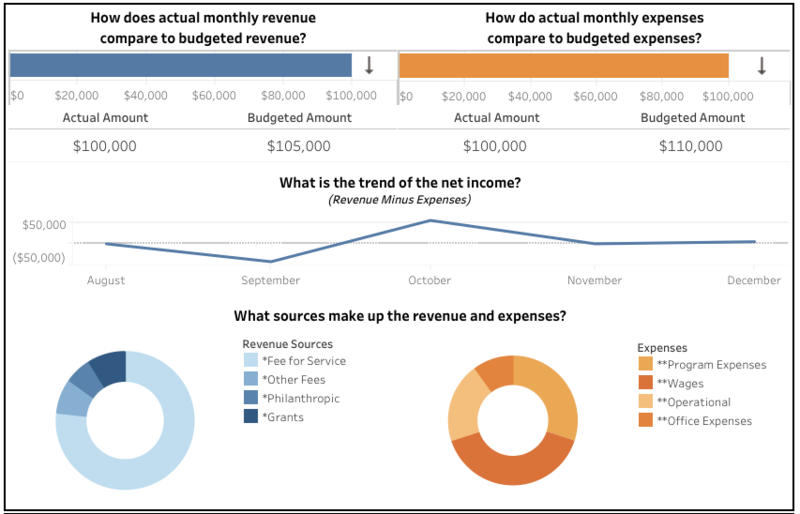 Looking at the overall revenue and expenses helps organizations see when more money is coming in compared to what is being spent. Comparing these funding sources helps make informed decisions on program changes when necessary. For example, when we looked at the revenue sources for an early childhood education program, we saw a majority of funds were coming from government subsidized programs. This might be a risky revenue source to rely on for a program. We helped the leaders discuss what might be a healthier percentage to set as a goal for government funding and other funding sources. We encouraged the program to increase regular parent-pay enrollment and fundraising initiatives to create more balanced revenue streams. Sources of revenue and expenses. As seen in the donut chart, the revenue and expense sources are each categorized into four main buckets. This makes the categories more understandable for a variety of audiences. Looking at the organization’s account standings is a simple way to monitor any large fluctuations in the account. It also helps decision makers see how much money the organization has to work with at any given time. For example, a fundraising event that will have to be funded from the account can be approved if the board knows the appropriate funding is available in the accounts. The dashboard below shows fairly consistent account amounts. The dip in checking in September could raise some questions. This is an opportunity for the organization to go back to the original sources to understand why. We encourage organizations to collect information beyond these three areas. These areas are meant to give a snapshot and raise questions within the organization when necessary. As seen in the examples, we like to display these areas in a visually-appealing dashboard using Tableau Software. Interactive dashboards allow users to apply filters and easily update the dashboard every month or quarter. 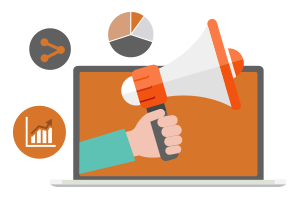 Organizations can use other methods to display information depending on the intended audience and the amount of information being shared. View our Dashboard Services page to find out how we can help you with your dashboard needs. If your organization does not know where to start, this blog post may be helpful for understanding why financial goals are important. At TCG, we can help your organization identify what financial information to collect and recognize key areas to share with the intended stakeholders. If your program needs support evaluating your financial stability or creating a visually appealing financial dashboard, contact us today! When it comes to program evaluation, people often think of evaluating the effectiveness and outcomes of their program. They may not think about evaluating how the program was administered or delivered, which may affect the program outcomes. There are several types of valuable evaluations that do not focus on outcomes. One type of evaluation, called “process or formative evaluation”, assesses how a program is being implemented. In this first blog in the series we will cover the first two W’s. The next blog will discuss the other three. Is the program operating as it was designed and intended? Is the current implementation adhering to program fidelity? Is the program being implemented consistently across multiple sites and staff, if applicable? What type and frequency of services are provided? What program procedures are followed? Is the program serving its targeted population? It is important to determine what you want to learn from your process evaluation. Maybe you want to assess if the program is being implemented as it was intended or you want to know if the program model is being followed. Whatever the reason, you want to be clear about why you are completing the process evaluation and what you hope to learn. The findings from the process evaluation will be used for program improvement in subsequent years. When determining who will conduct your process evaluation, you have the option of either identifying an internal staff member (e.g., program manager or quality assurance) from your organization or hiring an external evaluator. Many organizations find that there are challenges with an internal team member: they may not be objective, they don’t have a fresh perspective, and they often have other job responsibilities beyond the evaluation. For the reasons mentioned above, it is beneficial to have an external evaluator (like TCG!). An external evaluator will be able to assess the operations of your program from an unbiased lens. This is especially helpful if a program has multiple sites. An external evaluator can assess all sites/facilitators for consistency more objectively than a program staff member. (If you’re interested in learning more about how to evaluate multi-site programs, view our blog post here!). In our evaluation project with the Wabash YMCA, the decision to conduct an evaluation with an external group was made by their funders. This decision ensures that the evaluation is high quality and objective. The other three W’s will be discussed in a later blog post, so stay tuned! In the meantime, contact us today to learn more about our evaluation services! Evaluation is one of many services we provide for clients at Transform Consulting Group. Evaluation is important for any program because it helps organizations determine if a program is effective or if the change they set to accomplish actually occurred. In a previous blog we shared the 4 key steps to evaluation that we follow. 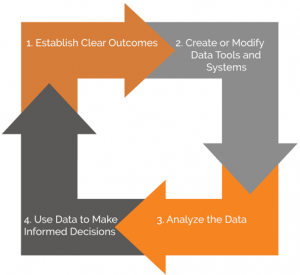 These steps are (1) establish clear outcomes, (2) create or modify data tools and systems, (3) analyze the data, and (4) use data to make informed decisions. 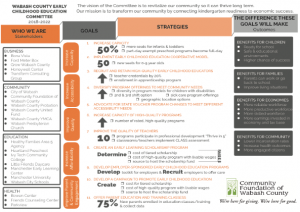 At TCG, we are currently evaluating a couple 21st Century Community Learning Centers (CCLC) Program grantees. 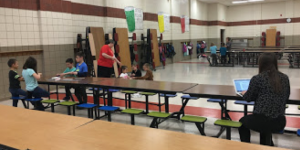 The clients implement the program across multiple sites, usually different schools within a school district. We use the following tips to help us evaluate multiple sites for one program. 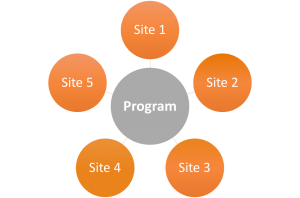 Observe each program site: Site observations help evaluators see how a program is implemented across each site. Is the approach and curriculum consistently followed? What is each site doing well compared to other sites? Where do improvements need to be made? Observations give evaluators important context and understanding when it is time to analyze the data. For the 21st CCLC program, the clients operate both summer, before and after school programs. We have built into our evaluation plan time to observe each site during the summer, at the beginning of the school year and the end of the school year. Collect data by site: Each site will have unique factors that may influence the program and overall data. When we are able to look at data by individual site, it will help inform recommendations for improvement and possible best practices. For example, we recently worked with a multi-site program to assess their workforce retention data. They identified several locations that had really high turnover and a few sites with lower turnover rates. By disaggregating the data by each site, we were equipped to inform some strategic decision-making. Solicit stakeholder feedback: Gathering input from key stakeholders is a critical component of our evaluation process (see these past blog posts: How to Engage Diverse Stakeholders in your Planning and 4 Tools to Collaborate with Key Stakeholders). For the 21st CCLC program, we sought feedback from program staff. We wanted to know if all staff understand the goals and outcomes of the program since it’s a new program for the organization and they have hired several new staff. If the responses differed, we can report back to the administrators that better messaging may be needed to ensure the program is being implemented effectively and meeting the state requirements. Once data and information has been collected by site, the evaluator determines the best way to report the information. Depending on the audience for the evaluation report, the data may be presented differently. For an external audience (public, the funder, etc. ), program summary results may be reported. For internal audiences (staff, board of directors, volunteers), it may be helpful to present the data at a disaggregated level by each site or location. 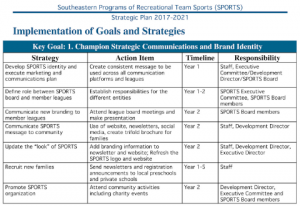 There may be steps to take to better align sites to meet program goals and outcomes. While there may be some additional steps needed to evaluate multi-site programs, our overall four-step approach to evaluation stays the same. Good evaluations often lead to recommendations for improvement. This is an opportunity to discuss data collected and implications for future programming, including ongoing program evaluation practices within the organization. If you like our approach, contact us today to learn about how we can help you with your next evaluation.